What exactly is a split HVAC system? Split HVAC Systems have two primary parts: the indoor and the outdoor unit. You install the outdoor unit on or nearby a wall outside the space or room you want to cool. It houses the condenser coil, compressor, and the capillary tubing or the expansion coil. Meanwhile, the indoor unit has the cooling coil, the air filter, and a long blower. What sets a split HVAC system apart from the rest of the cooling units out there? You don’t need extensive installation for a split HVAC system. You just connect the outdoor and indoor unit using a set of tubing and electric wires. In a sense, it helps you save money and is good for the environment as well. With conventional central air conditioners, you often need to install a ductwork, which likewise increases installation costs. Unfortunately, you end up losing a lot of cool or warm air in the ductwork, as expected. But with a split HVAC system, only minimal energy loss is associated with its use. What are the advantages of a split HVAC system? Split HVAC systems have a lot of edge over conventional ones. Probably the most evident of all is its quiet performance. 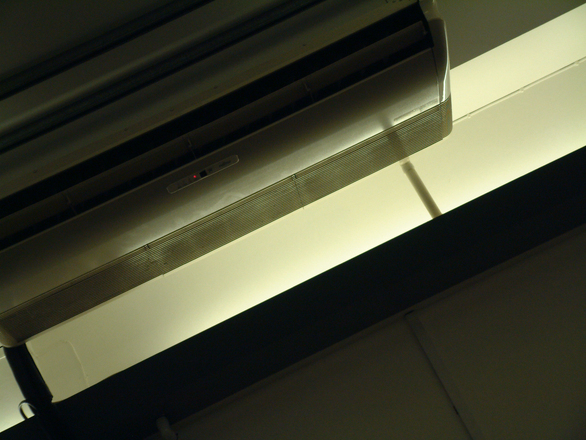 In a regular A/C, it is the condenser and the compressor that creates so much noise. But with a split HVAC system, these parts are found in the outdoor unit and not in the very room with the indoor unit, so its noise is no longer an issue because of the distance from both units, unlike what you get with a typical window A/C. Another advantage of a split HVAC system is that you can make use of a multi-split system, where it is possible for you to install several indoor units that are linked to just one outdoor unit. You can easily cool a bigger space or multiple rooms and maintain a constant temperature by using a couple of indoor units instead of just one. Thus, a split HVAC system is a cost-effective and efficient way to cool a house. Even if the initial cost may be a bit higher than with a regular window A/C and you need to hire a professional HVAC installer to do it for you, the benefits are very rewarding over time. You can save more money on lower energy bills and have an HVAC system that lasts longer than most HVAC products out in the market. You decide and determine if a split HVAC system is an excellent replacement for your current system and enjoy the benefits it offers.